Triggers and Bows is the only place to shop when you’re in need of top-quality archery gear in Simcoe. We carry the best crossbow, compound and recurve bows along with any arrows, quivers, sights and accessories you’ll need. With 18,000 feet of retail space and a huge online selection, don’t draw your bow without a trip to Triggers and Bows first. 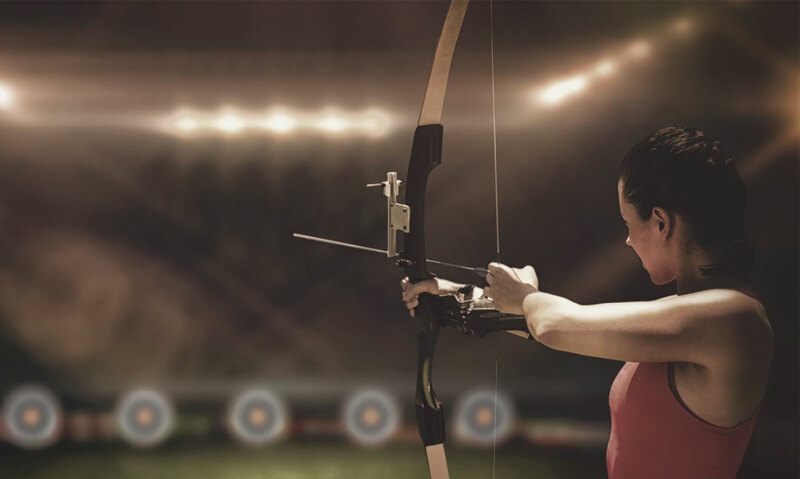 Once you’re geared up, come practice your shot in our state-of-the-art archery range, or learn the basics with some lessons first. When you’re ready for a little competition, why not join one of our youth or adult archery leagues? Whether you’re a bow hunter, competitive archer or just like to shoot some bullseyes for fun, Triggers and Bows is the place to visit for all archers in the Simcoe area. Triggers and Bows carries everything you need for your archery adventures in Simcoe. For bow hunters, we have the compound bows as well as hunting clothing and accessories to help you take down your prey. For competitive shooters, choose from our selection of recurve bows, arrows and targets, so you can hit that bullseye the firs ttime. We carry all of the leading brands such as Rinehart, Black Eagle, Excalibur, Gold Tip, PSE, Bear and Easton. Whether you’re learning the basics or perfecting your shot, our expert staff will help you find the equipment and clothing you need. Shop online or visit us our store near Simcoe for the best archery gear in the area. Introducing a crossbow revolution in size and sound. The new flagship crossbow is not only deadly quiet; it’s the most compact Micro we’ve ever designed. The new Micro Suppressor delivers incredible performance in an ultra-compact design. The five-component package works in sync to dramatically reduce vibration and noise when the crossbow is fired, resulting in a much smoother shooting experience and effectively increases your success in the field. If having an incredibly narrow, compact and quiet crossbow isn’t enough, we have included the new X-Hanger quiver for versatility and optimal manoeuvrability. The Micro Suppressor’s compact size and silenced shot make it the most revolutionary crossbow on the market today.